K-Villas Jimbaran offers 2 or 3-bedroom villas with a private pool and free Wi-Fi. 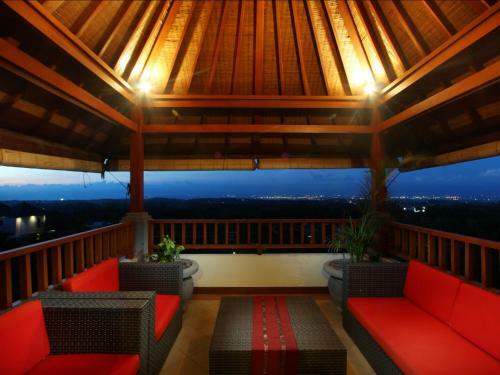 A 10-minute drive from Garuda Wisnu Kencana (GWK) Cultural Park, the villa serves a daily Continental breakfast. Book K-Villas Jimbaran Bali. Instant confirmation and a best rate guarantee. Big discounts online with Agoda.com. K-Villas Jimbaran is perfectly located for both business and leisure guests in Bali. Both business travelers and tourists can enjoy the hotel's facilities and services.